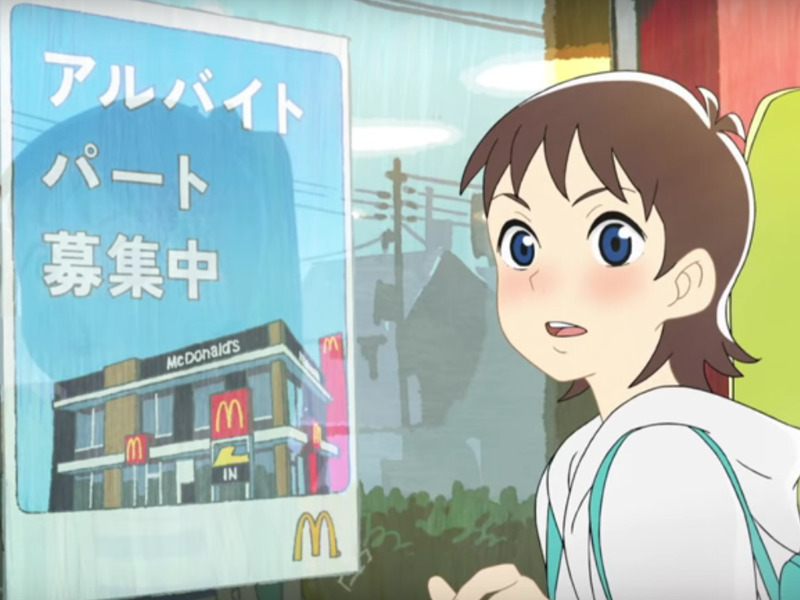 McDonald’s wanted to hire more Millennials as part-time staff in Japan, so it created an anime mini-series to help drum up interest. The first ad to be released is a classic coming-of-age drama, showing one young woman’s journey from nervous novice to confident burger merchant. The manager sticks up for the new employee by embarrassing the boys -- proving that the customer is not always right. After this, the new employee is suddenly incredibly happy about her new job. 'You've really had impact on me,' she tells her manager.